Adorable 2 BR / 2 BA villa in North Beach Plantation (unit is about 950 yards from the pool complex and beach). Stacey - Thanks so much for taking the time to share this feedback about your stay. We're so glad that you had a great time and that you enjoyed the resort and . We'll see you next time! Excellent accommodations, great service when needed. Good selection of dishes, pots and pans, etc. Nicely decorated. TVs in main living area and both bedrooms. Located in a great community, easily accessible to shopping & restaurants, pools, beach, etc. couldn’t ask for a better location. We walked to many things including Duplin for a wine tasting. Robbie, the manager, is excellent to work with! Harris - Thanks so much for taking the time to share this feedback about your stay. We're so glad that you had a great time. We hope to see you again soon! We have booked several times Thru ITrip in Myrtle Beach. We are always happy with the accommodations, communication and ease! We look forward to our next stay with ITrip Myrtle Beach! We're so glad you had another great experience, Angela. We'll see you next time! Loved this condo, provided all the necessities we needed for our vacation. The golf cart shuttles were a bonus as was having the pool and beach so close together! We'd definitely go back again and again and again... the kids didn't want to leave! THANK YOU SO MUCH FOR THOSE KIND WORDS AND WE LOOK FORWARD TO SEEING YOU AGAIN SOON! Beautiful condo!!! Fast & friendly check in/out process. 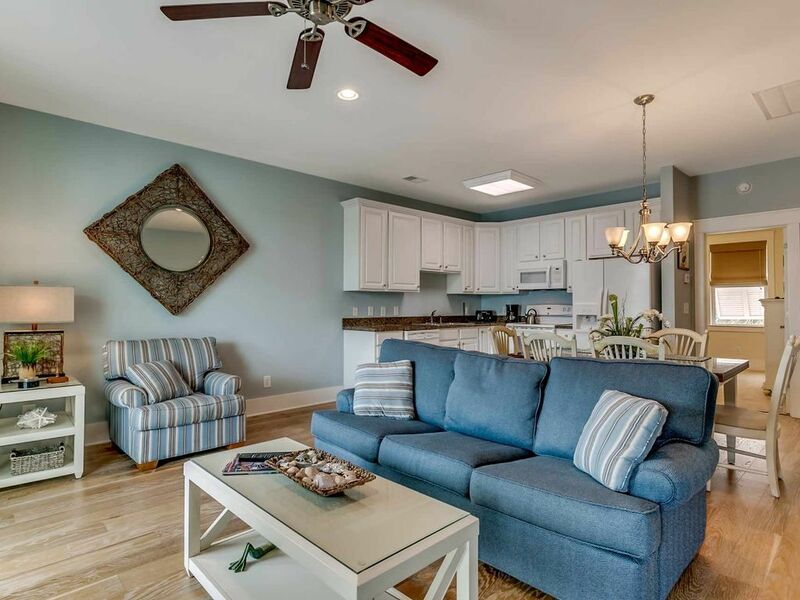 We had a wonderful week at 4922 Cinzia Lane at North Beach Plantation, in N Myrtle Beach. The Villa was bright , had all the amenities we needed for the week. It is right across the street from barefoot landing. The beach is a short walk from the villa or you can take your car and park it close to the towers. Check-in and check out was easy. Thank you ITrip for the wonderful stay! Can't wait to be back.